Glögi is the Finnish and Estonian spelling or Nordic Mulled Wine, Glögg. It’s a traditional drink during winter and especially around Christmas time. There are various non-alcoholic and alcoholic versions but the main mulling spices used are cinnamon, cardamom, ginger, cloves, and bitter orange. 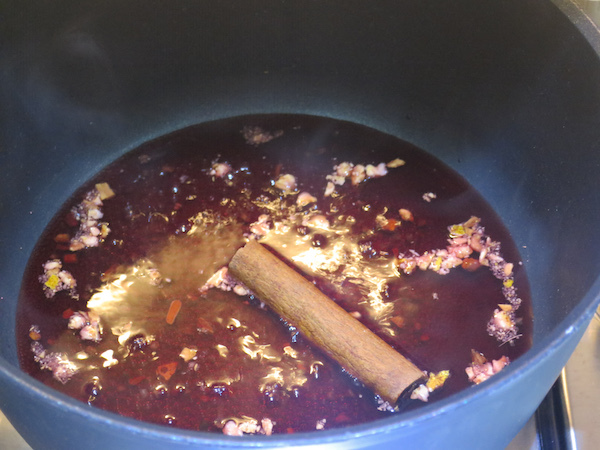 I prepared a half juice – half red wine glögi with a ready mulling spices mix cooked with an extra cinnamon stick, if you don’t want to use wine, you can substitute it with cranberry juice. 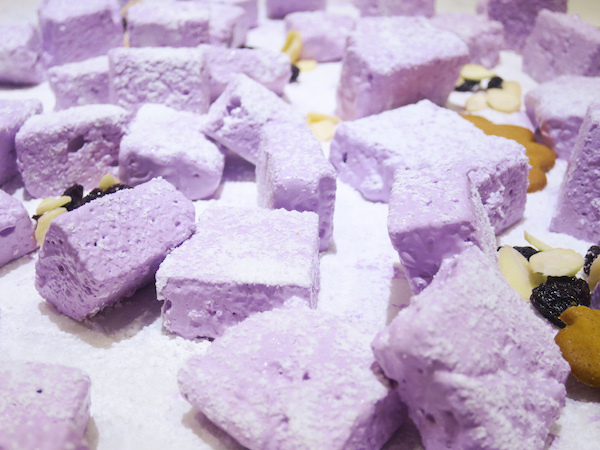 It’s been exactly a year since I posted my Peppermint Marshmallows and though the date of the post is a funny coincident it’s no wonder baking tends to lean to candy making this time of the year, after all Christmas is probably the sweetest holiday of them all! Place mulling spices and cranberry juice in a small sauce pan over medium heat and bring to boil. 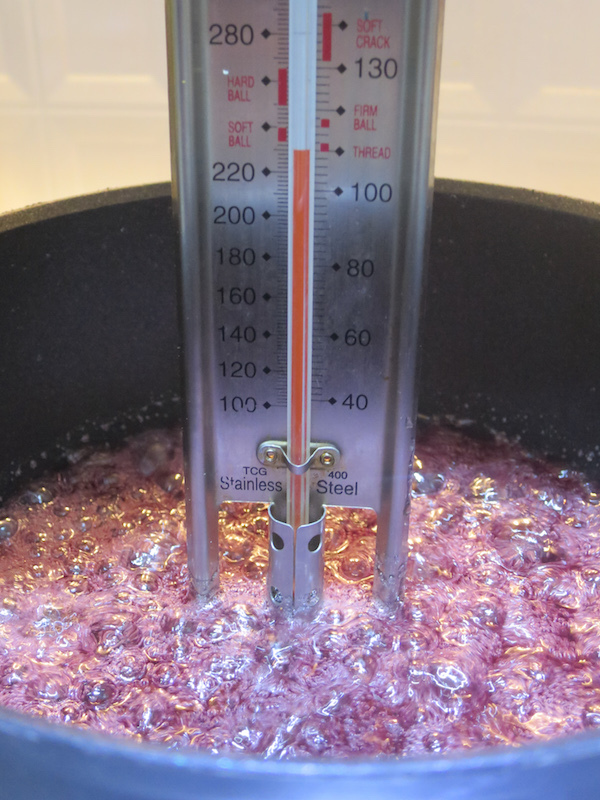 Add red wine and continue heating couple minutes over low heat. Remove from heat and pour through a sieve into a cup. Measure all remaining ingredients and prepare utensils and tools needed: heavy bottom pan, baking pan, candy thermometer, sifter, spatula, mixing bowl, flat beater and non-stick spray or small amount of peanut oil. Prepare baking dish with non-stick spray or lightly brush with peanut oil and place a parchment paper in the bottom, then dust it with powdered sugar. In a mixing bowl pour gelatine powder into cold water and leave to absorb. Place sugar, corn syrup, salt and mulled wine in a heavy bottomed sauce pan over medium heat. Continue to cook until heat reaches 110 °C (230 °F). Using a flat beater start mixing the gelatine mixture on low speed and slowly pour the boiling syrup in. 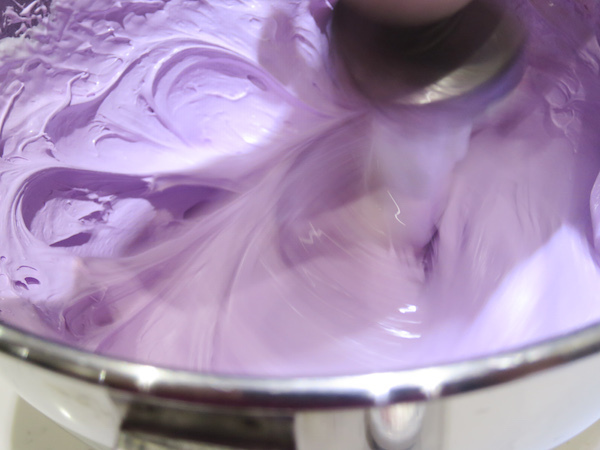 Gradually increase the mixing speed, continuing to beat until glossy. Add colouring and mix until desired colour. 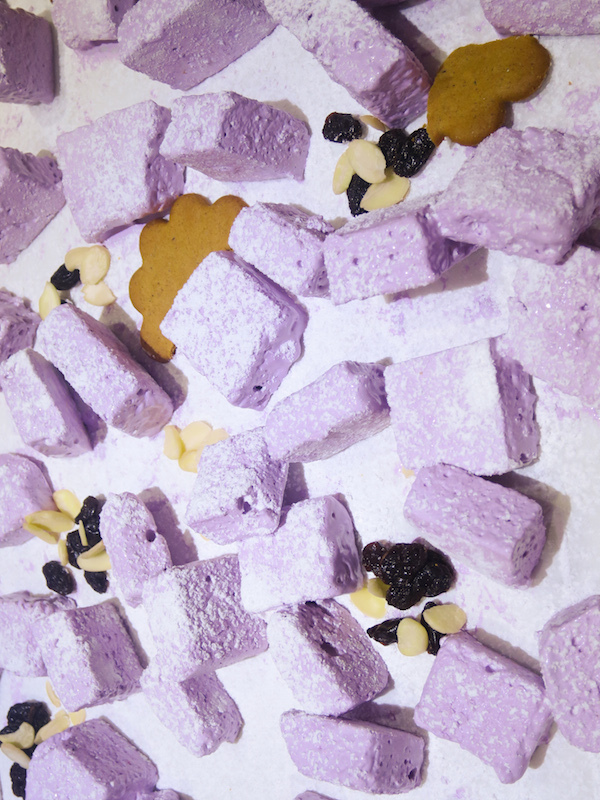 Using a lightly oiled spatula pour the marshmallow into prepared baking dish and spread evenly. Dust with powdered sugar and refrigerate overnight or 8 hours. 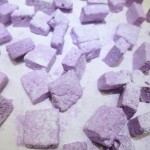 Using washed kitchen scissors cut the marshmallows into cubes. Dust with some more powdered sugar and serve. Store in airtight container.